The Cutest Kitten Sitemap - Don't get lost... follow the kitten paws! 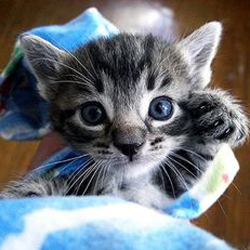 Don't get lost into the Cutest Kitten website... follow the kitten paws! Welcome on the Cutest Kitten Sitemap. If you have lost your way while browsing the Cutest Kitten website this is the right page to visit! Follow the kitten paws to immediately access the page you were looking for! You can start a kitten battle right away, find out who are the top winning kittens and the top running-up kittens, upload an image of your beloved kitty, watch our top ten kitten videos, discover the cutest kitten names, choose and play flash kitten games from a carefully vetted list of the best internet games featuring cuddly kitties as the leading role and much more. Just follow the kitty paws above and get started immediately.